The dryer and the first silo are assembled at Gödöllői Tangazdaság Zrt. 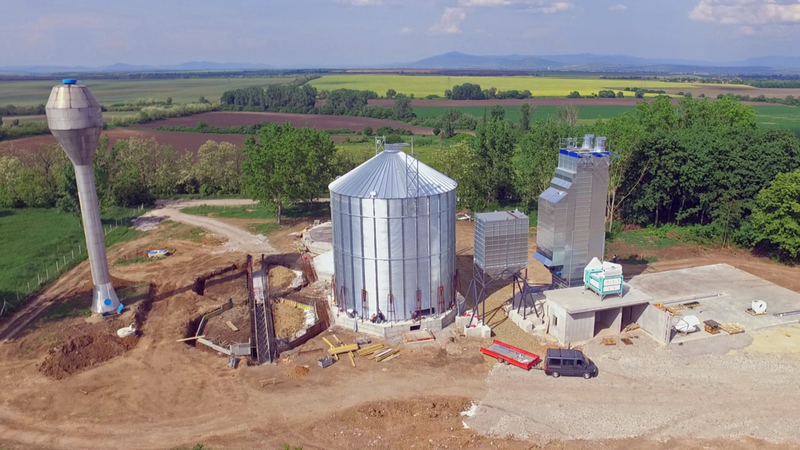 The system contains an HR4-22 heat-recovery dryer with Skandia I-line equipment, grain cleaner and storage silos with a capacity of 1500 tons/each. The assembly works of the transport equipment and the silos are in process. Tornum Hungary will also supply a drying plant for Somogyapáti Gabonatermelők Mezőgazdasági Szövetkezete. The plant contains an HR3-16 heat-recovery dryer with Skandia I-line equipment and a cleaner with a capacity of 40 t/h. The disassembly work on their old plant has started, and the new system will start up beginning of October. The assembly works has also started at Kurucz-Agro Kft’s plant in Füzesgyarmat, Hungary. The new system contains an HR3-12 heat-recovery dryer with Skandia transport equipment and cleaner. According to the plan, the plant will start up in June.